Adds vacuum power to your deShedding tools. Compatible with small, medium and large size short-haired and long-haired dog and cat deShedding tools. Will not work with classic or deluxe models. Features two removable heads to adjust to your tool size. 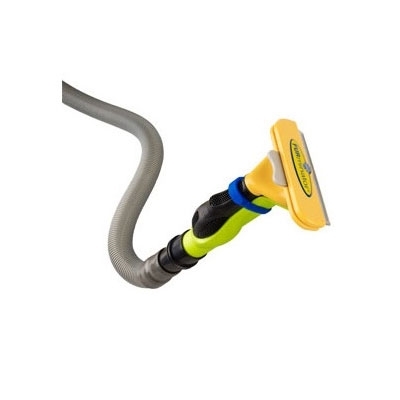 Includes two attachments to fit all vacuum brands.